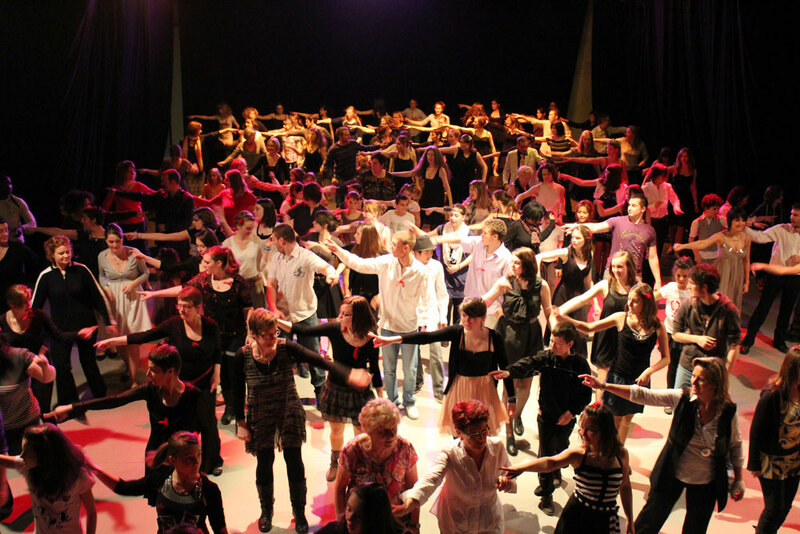 BALL “ I FEEL GOOD “, managed by 6th Dimension Company, crossing hip-hop dances and popular dances of the 20’s and 30’s. The principle is the concrete and physic participation of the audience, after the representation of the show, through a playful and festive approach of the dance. The theme tackled is the popular dances of the 20’s and 30’s crossed with hip-hop dance, will allow the spectators to share, to appropriate the universe of the show “I feel good” and to become an actor. The diversity of the audience will help to reconcile the generations and to give birth to a unique aesthetic, a surprising mix of styles. In this way, the dance turns into a way to express a sensibility, and to (re)discover sensations, so as to share common feelings. This ball has been created with the participation of Carlo Diaconale. Séverine Bidaud, comes back with her dancers to make you join a new ball, based on elements borrowed from her choreographic vocabulary, around the theme of world dances. 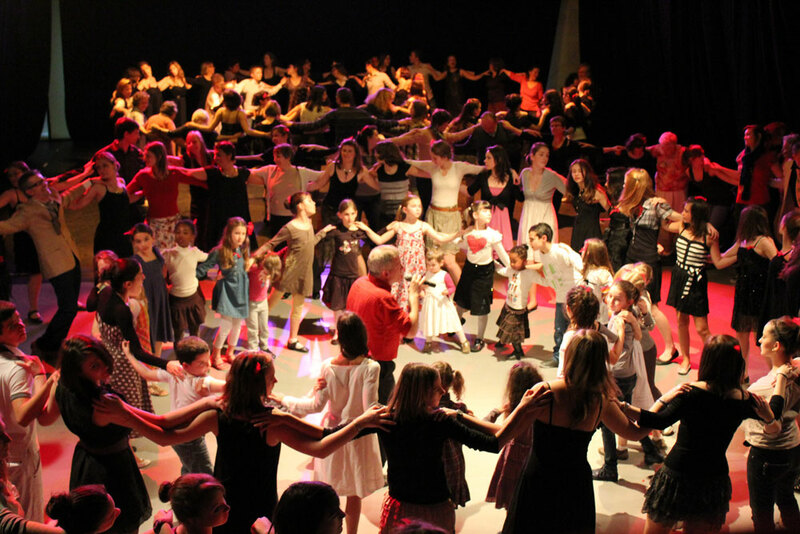 Through danced proposals, grandparents, parents and children are meeting around a few dance steps, mixing tradition and modernity. Rounds, farandoles, dances in pair or in single file, the 6th Dimension company invites all the participants to dance at the end of the performance, in groups or in pairs, but also to invent their own movements. Enjoy preparation workshops with the dancers of the company and let yourself be drawn into an happy collective dance accessible to all by becoming an “ambassador” to accompany the neophytes in this artistic performance.